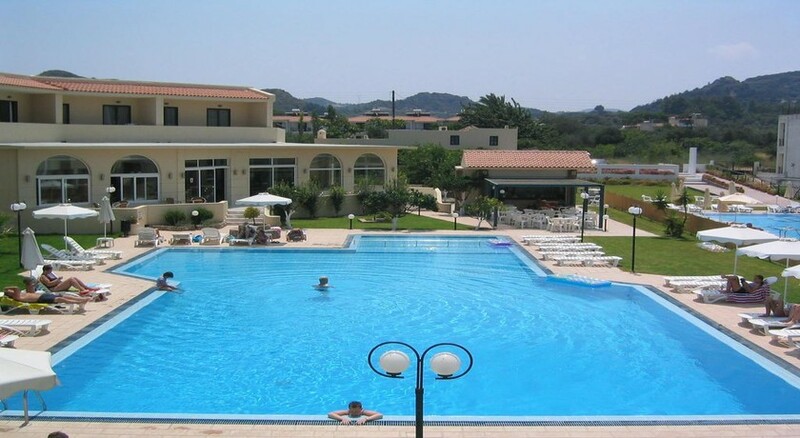 The stylish Summerland Hotel & Bungalows is situated in Ixia on the west coast of Rhodes, 1.5 km from the ancient town of Ialyssos and 6 km from vibrant Rhodes Town. 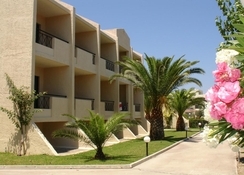 Easily accessible to the beach just 800 m away, this modern resort complex of three buildings 30 apartments, 23 double rooms and 12 studios, all with modern amenities and views of the beautiful surrounding garden. Rhodes Airport is a 7 km from the hotel. Local Tips: The Hotel is close to a number of attractions and places of interest such as the medieval town, Acropolis of Rhodes, Grand Master Palace, Modern Art Gallery, Casino, and Ixia area-conferences halls. Food, drink and entertainment: Self catering apartments and Bed and Breakfast accommodation. There is a breakfast area, TV lounge, pool snack bar, and main bar. Additional: 24 hour reception lobby and friendly staff, free Wifi in the lobby area, safety boxes (payable locally), library, Internet corner, gift and souvenir shop, Visa, Master card, and American Express accepted. Hotel staff so friendly, hotel so clean & pool beautiful!